We receive no public funding for the Festival and are dependent on the generosity of the participating authors and illustrators, who very kindly appear for no fee or expenses, and to kind gifts from sponsors. Please don’t hesitate to contact us via this form if you would like to make a donation or know of local organisations who might be happy to help. You may sponsor with a financial donation or in kind, and you may pick an individual event to sponsor, or provide a general donation to be used where most needed. 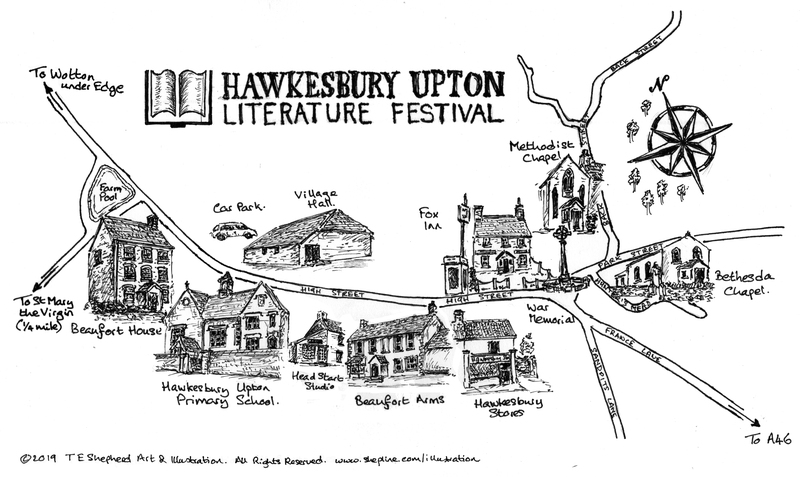 Hawkesbury Parish News has presented us with a generous donation of £250 which will cover the cost of hiring all the venues involved in the Festival and also leave change to make a significant contribution towards our printing costs for programmes, postcards and bookmarks. Head Start Studio is to sponsor the British Film institute licence required for our public showing of the Suffragette-themed vintage film, Make More Noise. This will be financed by the money raised there all year round via the sale of secondhand books. Non-fiction author, travel writer and content marketing specialist Jay Artale is also kindly providing social media support to help us raise awareness of the Festival via Twitter. Find out more about Jay’s books and services at her website: www.birdsofafeatherpress.com. Many thanks to the Hawkesbury Writers for kindly sponsoring the new Art Exhibition, which was a great success in the beautiful setting of the Methodist Chapel and Schoolroom. Thanks too to Natasha Harding at Head Start Studio in the High Street for selling secondhand books for us all year round, to help us keep our Festival free to attend. Special thanks to Thelma Amer for her generous personal donation. We would also like to thank the generous support of the three Festival venues for allowing us to use their premises: The Fox Inn, the Methodist Chapel and the Bethesda Chapel. These very special places all add to the Festival’s special charm. Flavours of Italy at the Fox Inn, for allowing us to use them as a venue and for their practical support and advice – and lots of furniture shifting! 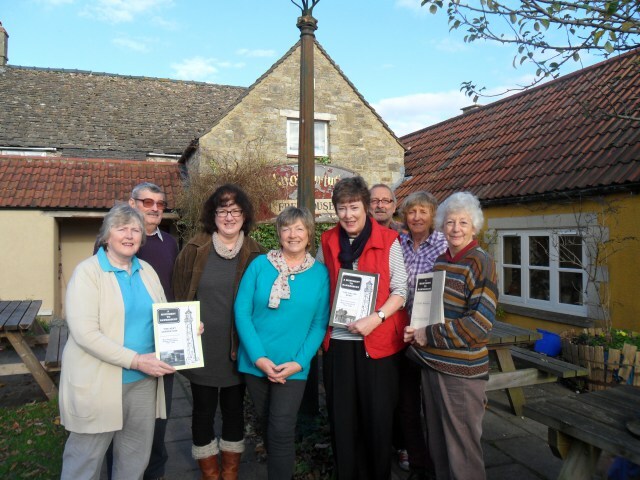 Our sponsors in 2015 were Hawkesbury Writers and Waitrose Chipping Sodbury, and we are very grateful to them for their support. Waitrose, via its Chipping Sodbury branch, provided a share of its April 2015 green token scheme takings. For more information about how that works, read our news story here.